Fiona Crombie won the ADG Excellence in Production Design Award for "The Favourite" which topped the Period Film category. Bill Groom won an ADG Excellence in Production Design Award for an episode of "The Marvelous Mrs. Maisel," which topped the One-Hour Period or Fantasy Single-Camera Series category. 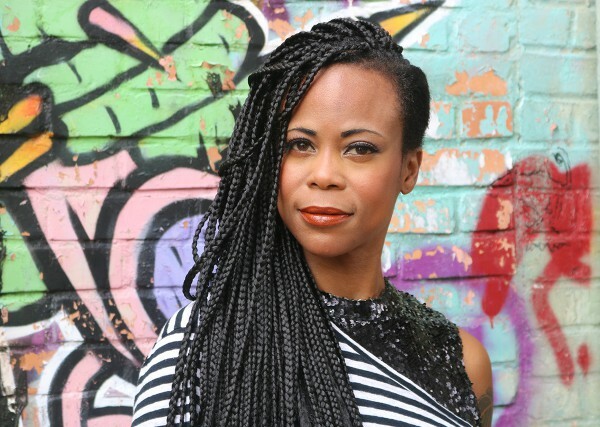 Hannah Beachler won the ADG Excellence in Production Design Award for "Black Panther," which topped the Fantasy Film category. The Favourite (production designer Fiona Crombie), Black Panther (Hannah Beachler), Crazy Rich Asians (Nelson Coates) and Isle of Dogs (Adam Stockhausen, Paul Harrod) garnered the marquee feature film honors at the Art Directors Guild (ADG) 23rd annual Excellence in Production Design Awards on Saturday evening (2/2). On the TV side, the award recipients included The Marvelous Mrs. Maisel (Bill Groom), The Handmaid’s Tale (Mark White, Elisabeth Williams), The Alienist (Mara LePere-Schloop), GLOW (Todd Fjelsted) and Sesame Street (David Gallo). Apple’s “Welcome Home” commercial (Christopher Glass) earned distinction in the short-form category. Honors were presented during a black-tie gala at the InterContinental Los Angeles Downtown before an audience in excess of 950. ADG president Nelson Coates and Art Directors Council chair Mark Worthington presided over the awards ceremony emceed by actor/comedian David Alan Grier. Producer of this year’s ADG Awards was production designer Scott Moses, ADG. Rob Marshall (Mary Poppins Returns, Chicago) was presented with the ADG’s prestigious Cinematic Imagery Award following a filmed salute to the Oscar®-nominated and Emmy®-winning filmmaker, producer, theater director and choreographer. Lifetime Achievement Awards were presented to Oscar-nominated production designer Jeannine Oppewall, sr. illustrator and production designer Ed Verreaux, scenic artist Jim Fiorito, and set designer and art director William F. Matthews. The late British production designer and set decorator Anthony Masters, an Oscar nominee for 2001: A Space Odyssey, and Benjamin Carre, best known for his work on The Phantom of the Opera and The Wizard of Oz, were inducted into the ADG Hall of Fame. ADG Production Design Nominees Include "Black Panther," "The Favourite," "Roma," "A Star Is Born"